» Did you spot the Studio Ghibli cameo in Marvel’s Avengers: Age of Ultron? While Marvel fans in much of the rest of the world have already seen the Avengers’ newest adventure, Japan is still waiting for Age of Ultron to open here on July 4. And just in case the months of trailers and overseas reviews didn’t already have Japanese moviegoers convinced to buy a ticket, now comes news that the film contains a cameo from Hayao Miyazaki’s 1986 anime film Castle in the Sky Laputa. While he doesn’t have any close-ups, and the character has never been given any dialogue, Laputa’s mysterious robot (shown on the right in the above still from the anime) appears briefly as a replica in Age of Ultron. Fittingly, the model shows up on a shelf in the apartment of humanoid hardware fan Tony Stark, the not-so-secret identity of Iron Man. This isn’t a coincidence caused by a set dresser randomly sourcing a plethora of robot figures to decorate Tony’s digs, either. 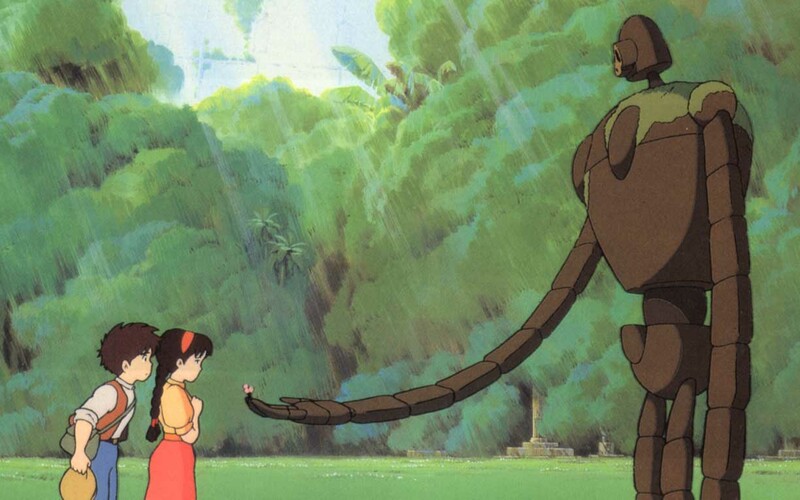 The idea came directly from Age of Ultron director Joss Whedon, who wanted to show his deep respect for the works of Studio Ghibli by including a subtle nod to his favorite Miyazaki film. Whedon reached out to Pixar/Disney animation director and producer John Lasseter, who has a well-known friendly relationship with Miyazaki. Lasseter in turn got in touch with the Japanese animation house, and the Laputa robot appears in Age of Ultron with Ghibli’s express permission. There’s even a line in Age of Ultron’s credits thanking the anime studio for loaning the character’s likeness to the Marvel production. Whedon explains that given the Laputa robot replica’s size, only one arm is clearly visible, but we have no doubt sharp-eyed fans of both anime and American comics will be able to spot the distinctive design. It’s a cool tie-up between three of the biggest names in cinematic entertainment, and it’s also nice to know that at the same time we’re sitting in theaters in Japan finally watching Age of Ultron, maybe people in the rest of the world will be going back for a repeat viewing/robot hunt.